che 'l cor s'umilïasse aspro et feroce. as to make that harsh and savage heart relent. 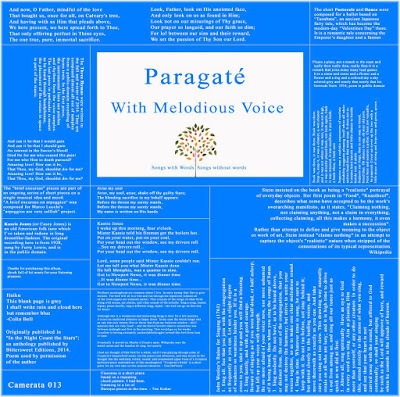 The new Paragaté album With Melodious Voice is now available for download on Bandcamp.